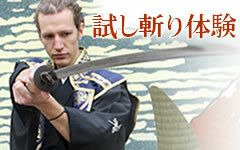 If you lives abroad, you can purchase this store’s item. first, we check your country’s rule. 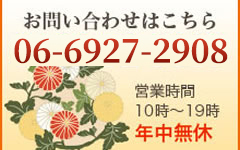 If we prove to can export to you, we application Japanese gorvenment. After that, we send items to you. 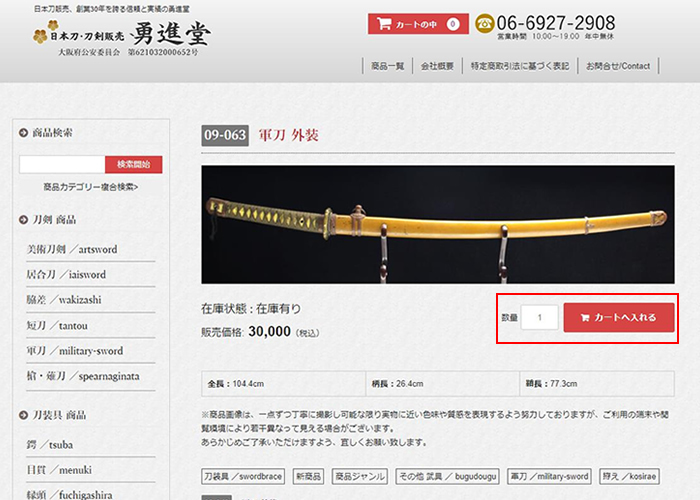 1.On an item page,click ”商品を購入する（purchase item）” button. 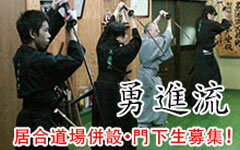 2.Check items and click “次へ(next)” button. 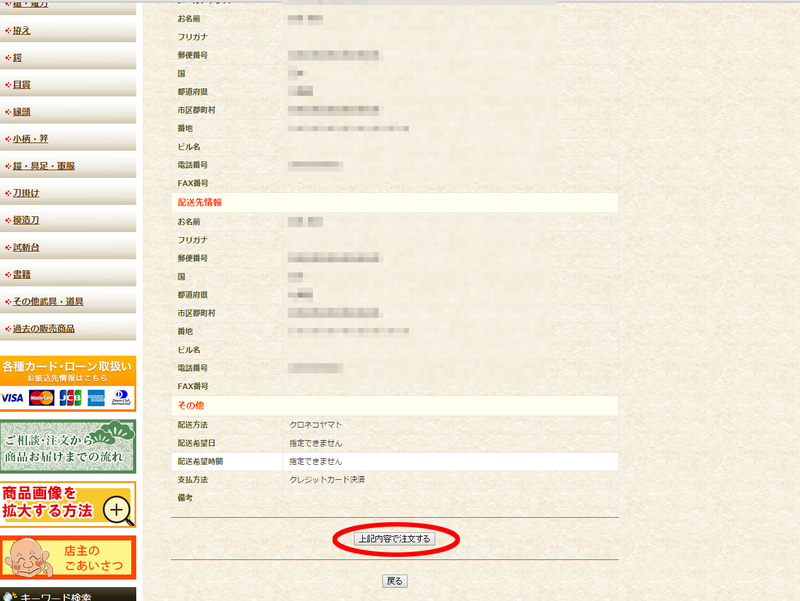 3.Input your personal information and click “次へ(next)” button. 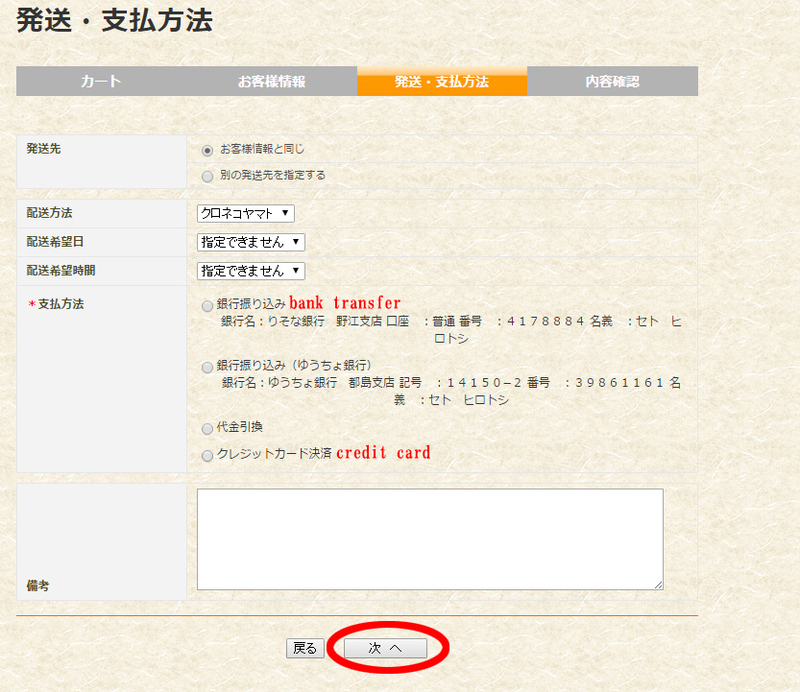 4.Choose bank transfer or credit card and click “次へ(next)” button. 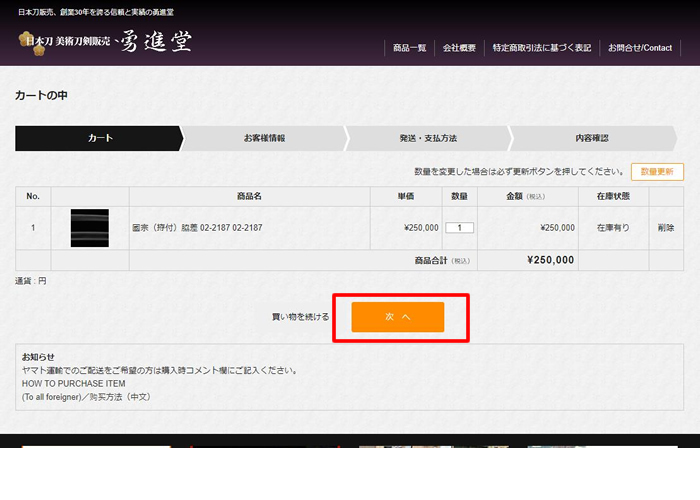 5.display an order confirmation picture. 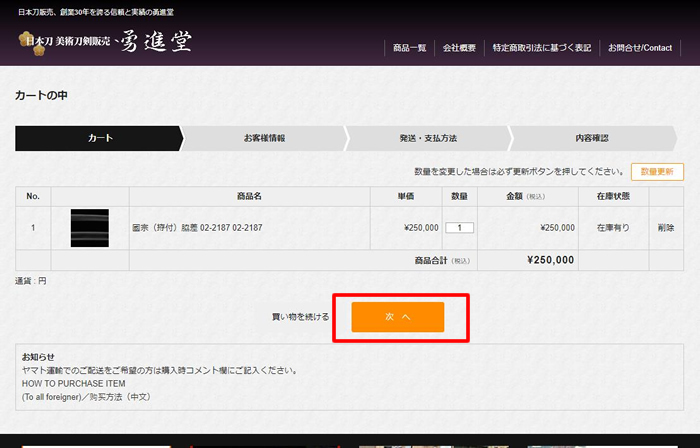 If there aren’t any problems, click “上記内容で注文する(order details of the above)” button. 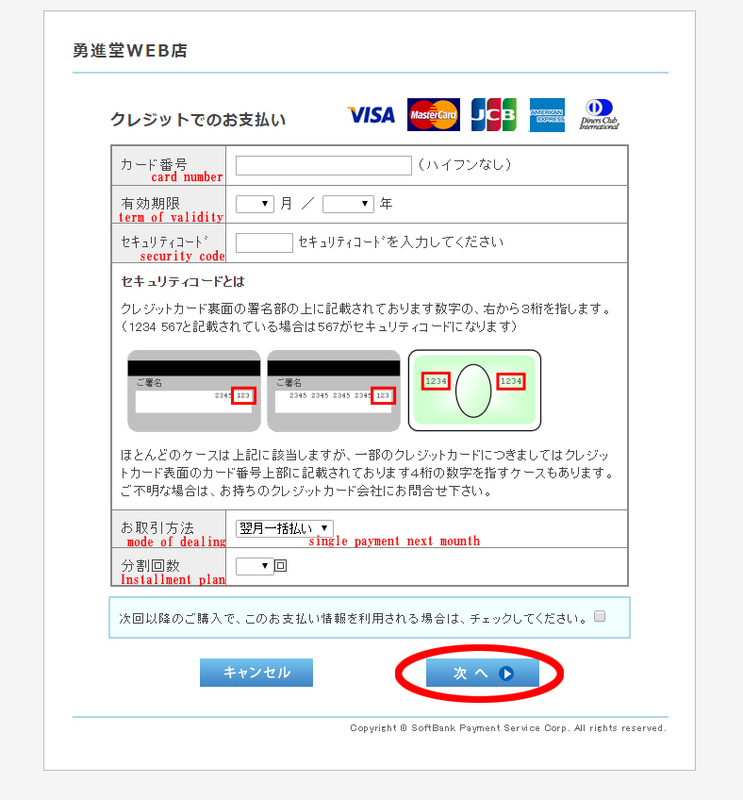 6.Input your credit card information and click “次へ(next)” button.